to anyone who may have been curious about the state of my iPhone, let me bring you up to speed by saying that i didn't have to contend with a shattered LCD for longer than 4 days. i dropped my iPhone on a monday evening. by thursday night, it was -- or so it seems -- good as new. 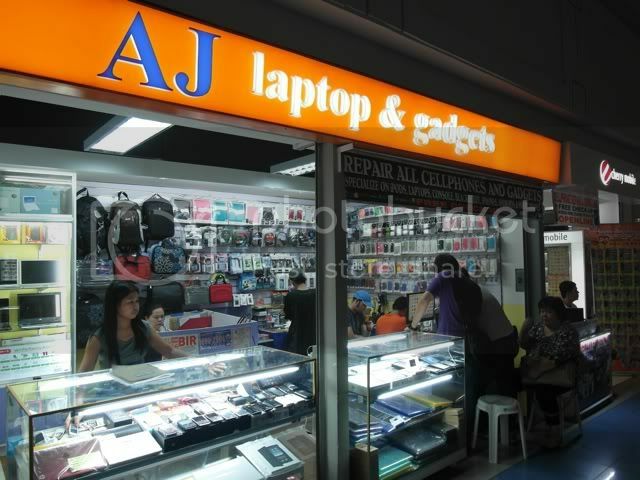 i took the unit to a shop in the greenhills shopping arcade called AJ laptop & gadgets. i had come upon this particular store because it appeared to be popular among careless iPhone owners like myself. it was mentioned several times in the philMUG forum, a fact which apparently had gotten me a discount. walk-ins were charged a higher price. 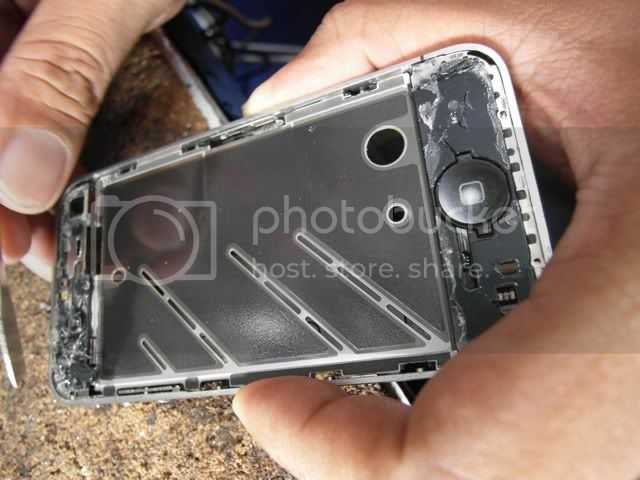 the guy who fixed my device had no formal training in repairing iPhones. his workstation was a disorganized mess of screws scattered on a beaten corkboard. there was no diagram of any sort, but there were pieces of iPhones across 4 generations. he had learned his craft -- knew which screw went into which hole -- by tearing them apart. he claimed to have serviced at least 3 iPhones a day on average. i watched him as he performed open surgery on my unit. 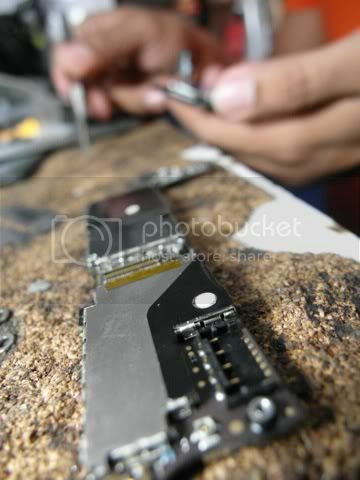 he lifted the LCD using a blade and a contraption i'd identify with a manicurist. it looked unrepairable from where i sat: the pieces of glass fell onto the corkboard, while a few clung onto the glue applied on the insides of my iPhone. he scraped these shards using a chisel. they showed me a "new" LCD in a bubble wrap. 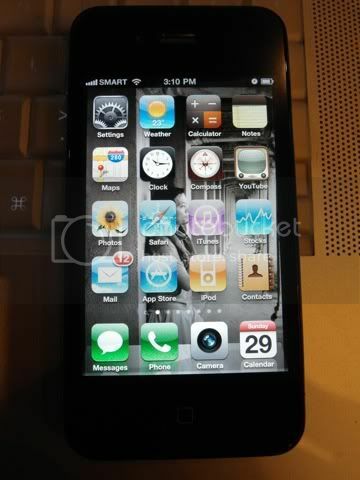 from china, they said, although someone told me it may have been a part salvaged from a stolen iPhone. at the time, i wondered whether i had just violated the anti-fencing law. given the circumstances, i could probably argue my way out of it. using a tape, the repairman removed bits of pieces of broken glass from my iPhone and plugged everything into the new LCD. it seemed to work and so he put it back together again and had me check. i couldn't initially believe that it was that easy to fix. until now, i'm still waiting for a catch to rear its ugly head. 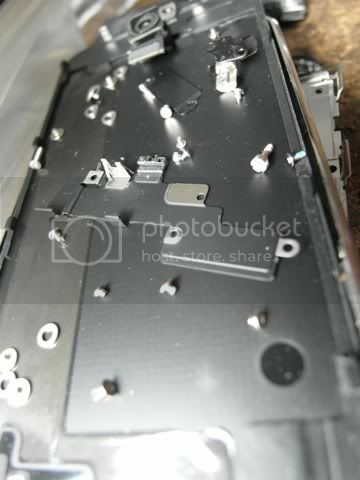 i'm actually not averse to just getting a new phone should the repair turn out to be botched. i've mentioned before that i'm not overly concerned about keeping my gadgets in their pristine state. as of this writing, 3 of my photography equipment are being serviced at the nikon center in megamall: a piece of my D300's shutter curtain fell off by no fault of mine; the lens shutter of my P7000 wouldn't close completely -- apparently a weakness identified by many early adaptors; and the the filter ring of my 12-24mm DX lens had to be replaced due to the clumsiness of a third person. 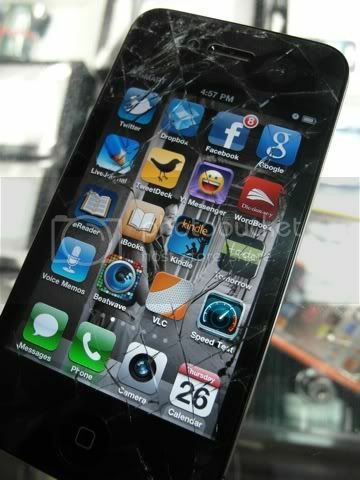 things can be repaired, so one shouldn't treat them like fragile objects to the point that their full use is curtailed. in many ways, my life ha been that: unsheltered and exposed. it has always been a series of carpe diems for me. i seize the moment because many years from now, i will regret those things that i did not do, rather than the things i did. such is the case of my mountaineering. my mom disapproves of it, fearing i might have an accident. 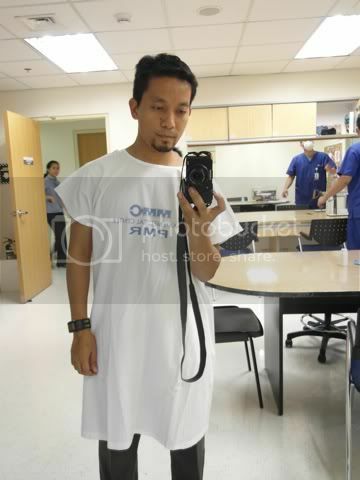 well i just did, and because of it, i've had to undergo an expensive therapy at the makati medical center. i experienced huge relief immediately after my first PT session: i managed to get back the full range of motion of my left arm, although there are certain angles and movements where i experience a tinge of pain. i've avoided carrying heavy objects so i'm not sure if my strength is back, but i'm pretty sure i could do most of the exercises here at home, and even apply a hot compress on my own, but my recovery has sort of plateaued since tuesday. the only thing i can't do here is give myself a 20-minute electrocution: a process which makes my muscles bump and jump. it's like a really wild involuntary twitch. also, i don't have an ultrasound machine whose purpose is to heat the muscles, but not the skin. i've finished all 5 PT sessions in the space of a week, which is good because i felt i was going to get sick staying in the hospital. 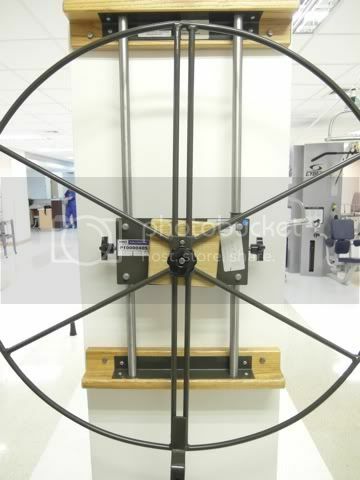 it reeks too much of death and disease, and i was the odd man out in the PT area: i wasn't bound in a wheelchair, nor had any visible difficulty. i was the most normal person there. i didn't belong. besides, i distrust most people in the medical professions: they don't offer any real relief, or tell you anything helpful. they're just after your money. yes, much like lawyers. so maybe i'll just get me a fresh tube of bengay. from my experience, this gives instant results.